It’s a pity because when it’s good, Gamay can make a deliciously, gushingly juicy everyday red with a refreshing nip of acidity and flavours ranging from strawberry and cherry to hints of banana. In the ten Beaujolais crus, it’s also capable of making a more serious, ageworthy red. Also grown with moderate success in the Loire, Switzerland and former Yugoslavia and known for some strange reason in California as Valdiguié. 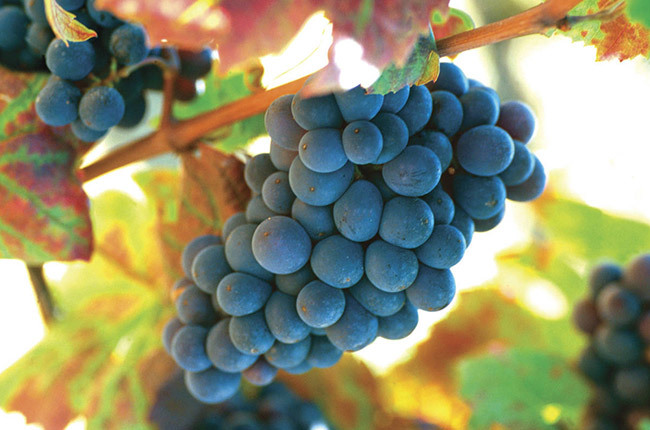 Gamay, the beaujolais grape, is the gluggiest of all grape varieties, partly because of the carbonic maceration or whole berry fementation method used, which helps preserves the naturally refreshing juiciness of the variety. Carbonic maceration is responsible for a variety of aromas and flavours ranging from bubblegum and banana through to strawberry and cherry. Trying to convince consumers that Beaujolais reds can be serious is not an easy task. We can, I guess, all agree on this: there will never be enough good red Burgundy to keep the wine drinkers of the world happy. This year's Decanter Mediterranean Fine Wine Encounter in London on Saturday 7th March 2015 is set to showcase an incredible selection of wines from top producers across this exciting region, so read our guide to five must-visit wineries taking part in this unique wine tasting event. Beaujolais Nouveau may be derided as a gimmick by some wine lovers, but official figures in the Decanter graphic below show there is still plenty of consumer demand around the world. Beaujolais producers have distanced themselves from a local wine showing the controversial 'quenelle' sign on its label. Three major Beaujolais producers have created a joint investment company to buy vineyards in Beaujolais and Beaujolais Villages to guard against the 'worrying loss of vines in the region'. Verdant hills, elegant châteaux and ever more serious wines make this stunning region well worth a detour from neighbouring Burgundy, says Sue Style. Read the full guide to Beaujolais, including the best wineries to visit, plus top places to stay, eat, shop and relax. As published in the Decanter July 2011 issue. Over 40 Beaujolais communes have lost the right to label their wine as Burgundy. Gamay is the Beaujolais grape, and, as such, carries with it an innate inferiority complex next to the red burgundy grape, Pinot Noir. It's a pity because when it's good, Gamay can make a deliciously, gushingly juicy everyday red with a refreshing nip of acidity and flavours ranging from strawberry and cherry to hints of banana. In the ten Beaujolais crus, it's also capable of making a more serious, ageworthy red. Also grown with moderate success in the Loire, Switzerland and former Yugoslavia and known for some strange reason in California as Valdiguié. New rules resolving long-disputed Burgundy and Beaujolais appellation issues have at last been released.